VIDEO: Featuring the Porsche 991 GT3 RS! 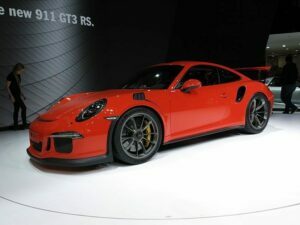 The Porsche 991 GT3 RS is the RS version of the 991 GT3. Like all other RS versions, the Porsche 991 GT3 RS has better performance than its base model. 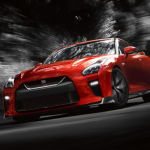 It has a superior 4.0-litre unit with 500 horsepower and 339 pound-feet (460 N·m) of torque. It can go 0-62 mph in just 3.3 seconds and 0-124 mph in 10.9 seconds. The 991 GT3 RS is also loaded with new functions like declutching by “paddle neutral” — comparable to pressing the clutch with a conventional manual gearbox –- and the Pit Speed limiter button among others. In this video, you will see how the Porsche 991 GT3 RS drives through the San Bernardino Pass easily.